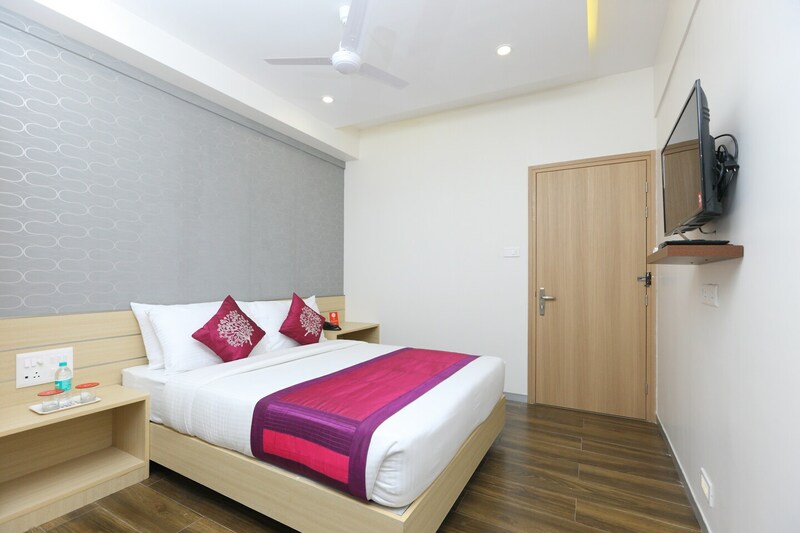 While visiting Chennai, The Pearl is a comfortable accommodation for guests. The chic and elegant lobby is a theme spread across the hotel. The rooms are elegantly designed and are equipped with wooden furniture and basic amenities. The wall decor is minimalist with patterns on them. Dining area is a well designed place for guests to relax and unwind. Power backup and CCTV cameras ensure security of the guests. Guests can be assured of staying connected with social media because of the availability of free Wi-Fi service. Parking facility is also available for the convenience of the guests.